Counselling Courses and Psychotherapy Courses at ICHAS, Dublin, Limerick, Waterford, and Nationwide. Attending the ICHAS-Irish College of Humanities & Applied Sciences Conferrings, in Limerick on Friday was ICHAS Student of the Year Patrick McLoughney, Limerick city who was conferred with a BA First Class Honours Counselling and Psychotherapy. ICHAS is at the forefront of the education and training of Counsellors and Psychotherapists in Ireland, providing an extensive range of Counselling Courses and Psychotherapy Courses. All our courses in Counselling and Psychotherapy are validated and awarded at Levels 7, 8 and 9 on the National Framework of Qualifications by Quality Qualifications Ireland (QQI). Our range of programmes include; Short Courses in Counselling Skills and Psychotherapy studies ; Undergraduate Courses in Counselling and Psychotherapy and related studies; Post Graduate and Masters Courses in Counselling and Psychotherapy. All our Counselling Courses and Psychotherapy Courses are offered at both our Dublin and Limerick Campuses, and locally at centres in Waterford, Tralee, Sligo, and Galway ( subject to viable cohorts) and also nationally through our Blended Learning Environment. In 2014 Quality and Qualifications Ireland (QQI published Award Standards for programmes leading to qualifications in Counselling & Psychotherapy at varying levels of the National Framework of Qualifications. The publication of these standards represents the most significant development in terms of the professionalization of Counselling and Psychotherapy in recent years. Most of the Professional Associations in Counselling & Psychotherapy in Ireland agreed in 2008 that Degree and Masters level qualifications will be the future minimum requirements for entry to the practice of Counselling & Psychotherapy. These recommendations are likely to inform the standards which will apply when Counselling & Psychotherapy become regulated by CORU, and the titles of Counsellor and Psychotherapist become protected in law. 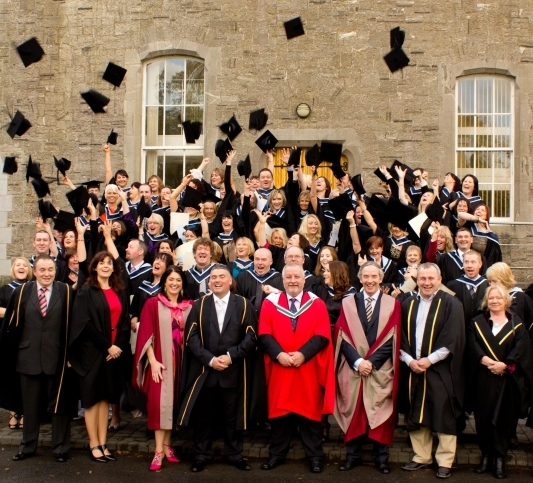 All of the Degrees, undergraduate and Postgraduate offered by ICHAS were reviewed in 2015 and meet the QQI Award Standards. Our Degree programmes may be studied on a Full time or Part Time basis. There are several reasons why someone might choose to complete a counselling programme. Below are some of the reasons why people choose to study counselling and psychotherapy courses at ICHAS. As well as offering a range of full and part-time Degrees, aimed at those seeking to pursue a career in counselling or psychotherapy, we also provide short courses that will allow you explore counselling as an interest or for your own personal development. Courses in Counselling and Psychotherapy teach participants many useful skills such as active listening, empathy and self-awareness that can be of benefit to people in any career, not just those who want to be professional Counsellors or Psychotherapists. These skills will benefit anyone who is employed in a sector where they have to deal with members of the public, or demonstrate appropriate communication skills. Many people simply have an interest in counselling or psychotherapy and want to learn more about it. They may want to develop skills that will benefit themselves in everyday life, or simply because they’ve always been interested in the area. We provide short courses to facilitate this type of learning for those interested. Many people undertake counselling or psychotherapy related degrees to develop the specialised skills needed to become professional Counsellors at undergraduate level or following relevant undergraduate degrees, they may want to specialise in Counselling or psychotherapist areas at postgraduate level. Graduates form cognate areas tend to undertake higher-level counselling or psychotherapy degrees to enhance or develop skills for specialisation in their workplace. These are just some reasons why people undertake counselling courses. ICHAS offers courses for all skill levels – the Certificate in Counselling Skills & Psychotherapeutic Practice is a excellent introduction to counselling skills for everyday life and work. We also offer several degree level counselling courses in specialised areas such as youth studies and addiction studies for people interested in developing skills in these specialised areas. Finally, there’s a comprehensive suite of Master’s counselling courses for those interested in building on existing qualifications & skills for career enhancement reasons.